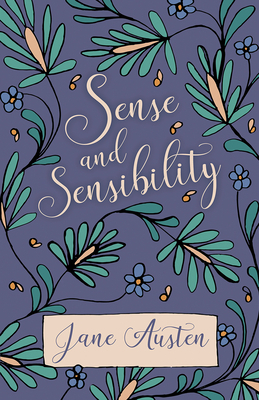 First published in 1811, "Sense and Sensibility" is a novel by renowned English author Jane Austen. Most likely set in London and Sussex during the 1790s, it revolves around the two sisters Elinor and Marianne and their coming of age. After moving with their mother from the estate that was their childhood home to Barton Cottage, the sisters must begin a new life where love, romance, and heartbreak await them. This volume is recommend for all lovers of the English language and constitutes a must-read for fans of Austen's seminal work. Jane Austen (1775 - 1817) was an English author known primarily for her novels, which critique the 18th century English upper classes and contemporary novels of sensibility. Her use of irony coupled with biting social commentary and realism have led to her wide acclaim amongst scholars and critics, her work contributing to the transition to 19th-century literary realism. Other notable works by this author include: "Emma" (1816), "Pride and Prejudice" (1813), and "Mansfield Park" (1814). Many vintage books such as this are becoming increasingly scarce and expensive. We are republishing this book now in an affordable, modern, high-quality edition complete with a specially-commissioned new biography of the author.